Business owners on Jos. Campau can apply for a city grant to upgrade their signs. Jos. Campau business owners who are thinking about getting a new sign this year have a helping hand waiting. The city’s Downtown Development Authority (DDA) is once again offering financial assistance to businesses seeking to update their business sign. The DDA has a pool of $5,000 to dip into. Some 10 lucky business owners will be able to receive $500 in support. The grant will target eligible applicants who are commercial property owners, as well as business owners (with the property owner’s written permission) whose businesses are located in the DDA district. Applications are available at the Department of Community and Economic Development office in City Hall or by calling Kathy Angerer, (313) 876-7700, extension 326. The DDA district is located on Jos. Campau between Hamtramck Dr. and Carpenter. 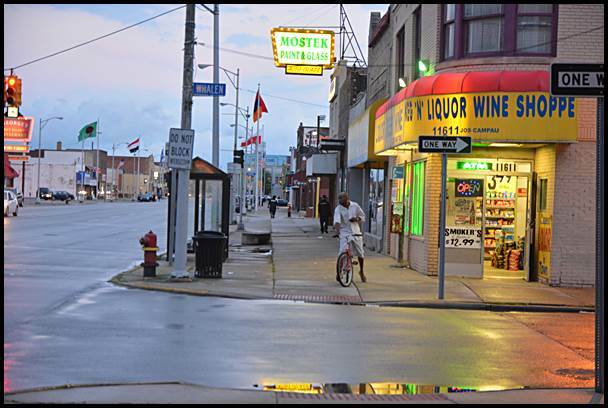 “This grant program is one more way that the DDA is using the revenue collected from businesses in the district for the good of the city,” said Hamtramck’s Director of Community & Economic Development Kathy Angerer in a press release. Angerer also said that at the DDA’s recent meeting a “year in review” presentaion was held. The DDA Board is led by Chairman Vince Szymborski, and meetings are held at Hamtramck City Hall, on the first Thursday of the month at 6:30 p.m. Any member of the public or business community is welcome to attend.